Some writers who have spoken out against their governments have been put in jail by those governments. Fortunately, there is a group called PEN International, which defends freedom of expression. PEN International fights for the rights of writers around the world. Last week, PEN International went to Turkey. The group was led by Canadian author John Ralson Saul, the president of PEN International. They met with Turkish President Abdullah Gül to show their concern for writers and journalists in Turkish prisons. 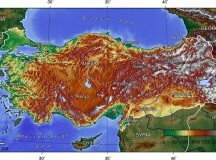 PEN asked the Turkish government to consider shortening jail time for prisoners before their trials. This period can often last for years. Another problem is that prisoners aren’t able to see their lawyers quickly. According to one report in The Toronto Star, one man has been kept from talking to his lawyer for over a year. On Monday night, the Premier of Ontario did something surprising. He quit his job. It was shocking, because most people didn’t see it coming. 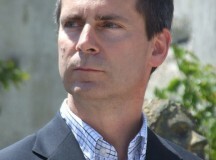 Dalton McGuinty has been the Premier for nine years. He is also the leader of the Ontario Liberal Party, a position he has held for 16 years. At the same time as he resigned, he also “prorogued” the legislature. That means he stopped all business taking place in the Ontario House of Commons. Most of the work MPPs were working on has been cancelled until a new session is called. No one knows exactly why McGuinty quit, and so suddenly. Some people say he intends to run for leader of the federal Liberal party—in other words, take over the national Liberals so he can run for Prime Minister in the future. Other people say he quit because his provincial government is in the middle of many difficulties including contract negotiations with some unions. There has been a significant change in government in the province of Quebec. On Sept. 4, the PQ party won the provincial election. They will take over from the Liberals, who have been in power there for nine years. 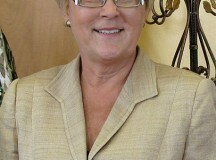 The PQ leader is Pauline Marois. She will become Quebec’s first female premier. The PQ or Parti Quebecois advocates “sovereignty” for Quebec. That means they believe Quebec should be a separate country from the rest of Canada because it is unique in terms of culture and language. Most people in Quebec speak French. How Much Did Fighter Jets Really Cost? 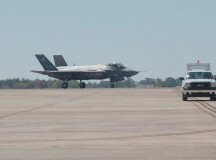 In 2010, new F-35 Fighter Jets were ordered by Canada’s Defence Department (the department that oversees the country’s military).The new jets were supposed to cost around $15-billion. Now, however, the Auditor General of Canada has said that the 65 planes will actually cost $25-billion, $10-billion more than expected. The Auditor General’s office watches over Government spending. NDP and Liberal MPs (Members of Parliament) have accused the Defence Department (part of the Conservative government in power) of “hiding” the extra $10-billion in their financial reports when the 2011 election was coming up. Some are saying that the Conservatives wanted to keep it secret so people wouldn’t see the real costs and not vote for them. Now that it is in the open, some MPs have demanded that Canada’s Defence Minister, Peter MacKay, step down from his job. The Defence Department has explained their position saying that their original estimate did not include many costs such as operations (day-to-day expenses), people to run the project, or a “contingency fund” (in this case, this refers to money set aside for unknown problems in the project). Some of that money was already recorded in other budgets. This week, as winter sets in and snow is on the ground in the remote community, they are finally getting some attention–and some help. In Canada, a state of emergency is normally declared when something terrible happens to a place, such as an earthquake, flood or large fire. 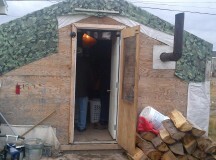 In this case, the state of emergency is that the people of Attawapiskat, in northern Ontario are living in conditions that are worse than those in many third-world countries.